Alwar means one who is immersed in the experience of God, the omnipresent mysterious one. Tradition reckons 12 alwars. They come from all walks of life and all strata of society. 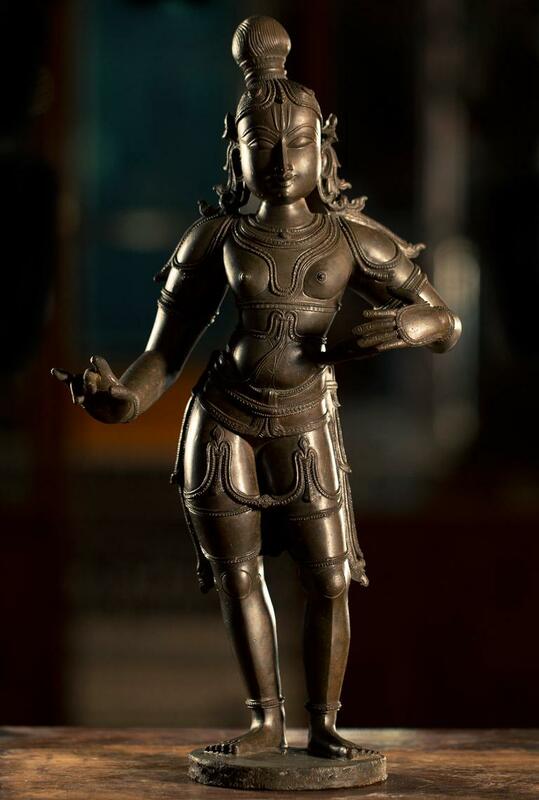 The sculpture is a two-handed Vaishnava saint standing in dwibhanga pose. The exhibit is noted for its artistic features and craftsmanship. The hair is in the form of a round bundle. The right hand is in kataka pose while the left rests on a weapon fastened to the hip.